For some reason, the idea of making something called raw cashew cream makes me feel very “earthy-crunchy”. (Not that there’s anything wrong with that!) Maybe it’s because there is a certain stigma associated with the raw foods and vegan movements and raw cashew cream falls into their realm(s). It’s unfortunate, really, because there is so much innovation going on there. We may depart ways when it comes to certain foods – definitely soy products for one. But I love finding out all the different techniques other cooks use to find ways around dietary restrictions. There’s a lot of creativity, not to mention some tasty and nutritious food as well. Cashew cream is a rich creamy base used in many dairy-free, vegan foods. Raw cashews are essential in this recipe. This is because cashews derive most of their flavor from the roasting process. Without roasting, raw cashews have no real flavor of their own which is why they are ideal to create this dairy-free cream. 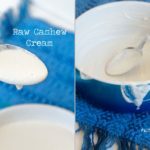 If you follow a paleo lifestyle then raw cashew cream is a great option for dairy-free recipes. 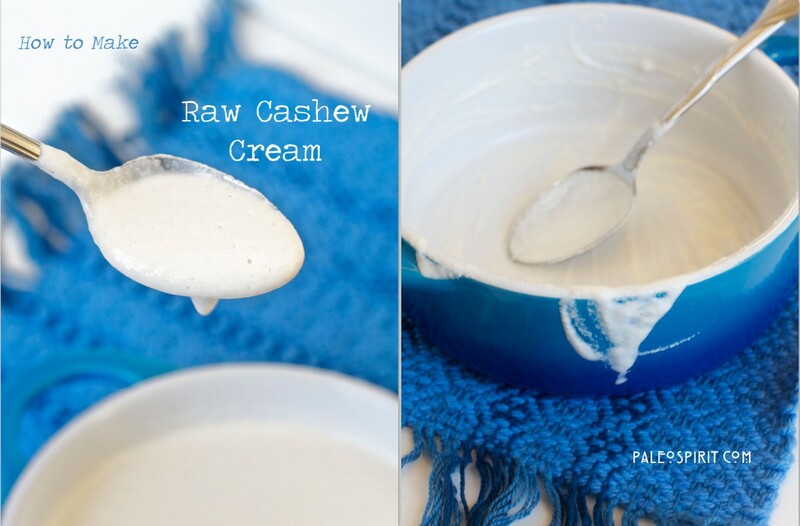 Making raw cashew cream is really very simple. Here’s what you do. Rinse the cashews well, place in a bowl with enough water to cover them by about an inch. Cover the bowl and soak the cashews for a MINIMUM of two hours but preferably overnight. Drain the cashews, rinse under cold water and place into a food processor or high-speed blender with one cup of fresh, filtered water. Makes about 1 1/2 to 2 cups raw cashew cream. For a thicker consistency, more akin to ricotta cheese, I suggest using half a cup of water and adding more if needed depending on your desired result. How long can you store cashew cream? You can store cashew cream in the refrigerator for about 3 days or in the freezer for six months. Stay tuned for my first recipe using raw cashew cream: Creamy Spinach-Artichoke Dip! 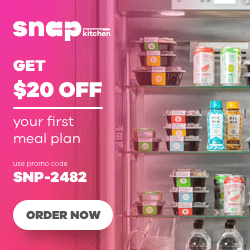 To subscribe to Paleo Spirit by email, enter your address below. You will need to activate your subscription via a confirmation email – check your spam folder if you do not see it right away. 15 Responses to "How to Make Raw Cashew Cream"
I agree with you about how it sounds a bit over the earthy crunchy line, lol. How does it taste or is it a neutral taste and did you make ice cream with it? It’s really a neutral taste. So far I’ve only made spinach-artichoke dip with it. But I can envision many, options. How long can it be kept and do you you keep it in the frig? Mona, Thanks for the question. I’ll go update the post to mention it can be refrigerated up to 3 days or frozen for six months. Hi, this recipe sounds amazing! 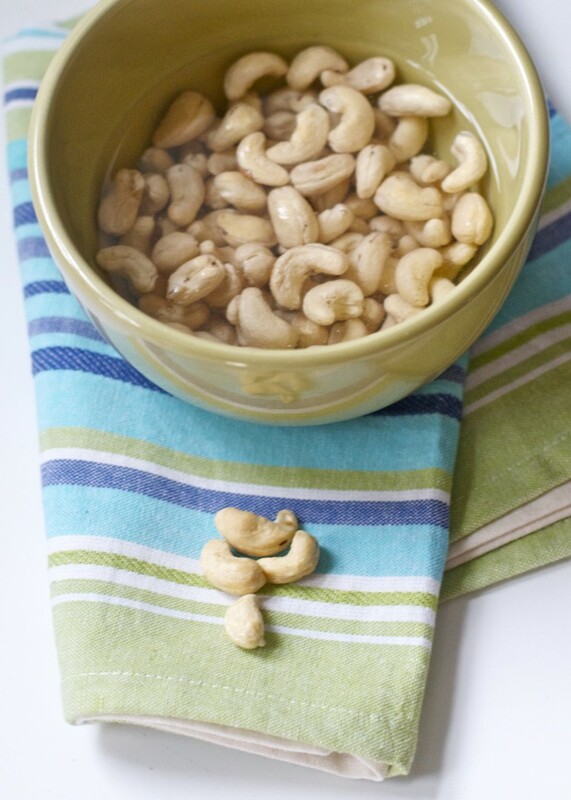 Question about step 1 — when you’re soaking the cashews, do you keep the bowl out on the counter or put it in the fridge? Thanks! I leave mine out on the counter because I only soak them overnight but it wouldn’t hurt to refrigerate them either. I had some cashew cream over fruit (it must have been lightly sweetened) at a vegan event and it was so good! I will be making this. I left my cashews out soaking for two nights accidentally. Are they still ok to eat? I’ve done the same thing. They should be fine. You can also make a cashew sour cream that is amazing!! Just by adding 2 TBS plus 1 tsp of ACV (apple cider vinegar) and 1/2 tsp. sea salt to 2 cups of cashews and then water 1 to 1/4 cup. After it sits in the fridge it firms up. Why won’t cashew pieces work for this? Just wondering because I happen to have pieces on hand, not whole cashews. Cashew pieces tend to be on the dry side so whole ones are ideal. But if you have pieces you can use the pieces. You might need to soak them a little bit longer. 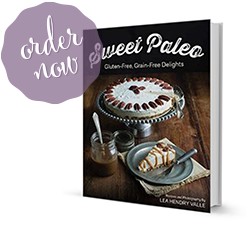 Love sharing new paleo recipes!